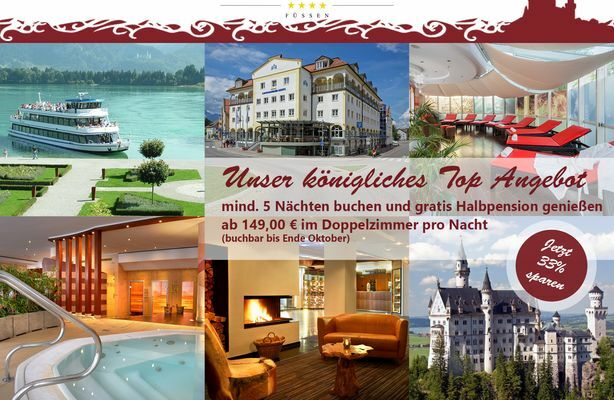 Your relaxing holiday in Füssen will be spent in the highest town in Bavaria, at 800 metres. The Romans encamped in this wonderful region in the 3rd century. The area is characterised by the Alps and the many, many lakes. Emperors and kings came back here over and over again. 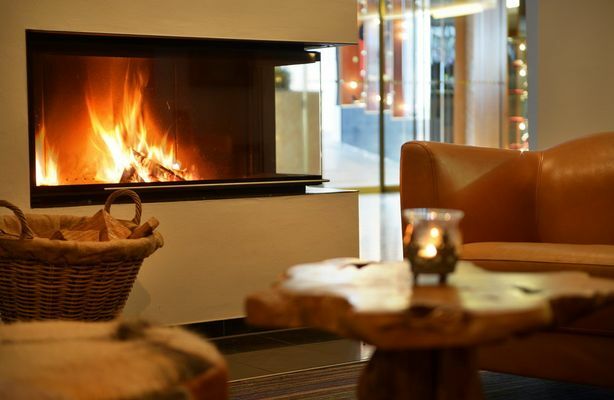 The city once set the benchmark in Europe for the making of lutes and violins and you'll notice the influence during your holiday or short trip, not least in our Lute Makers Lounge at the Luitpold Park Hotel. While in Füssen, take a stroll through the romantic alleys. The Old Town has been pedestrianised making it possible to stroll unimpeded through the Middle Age and Baroque buildings. 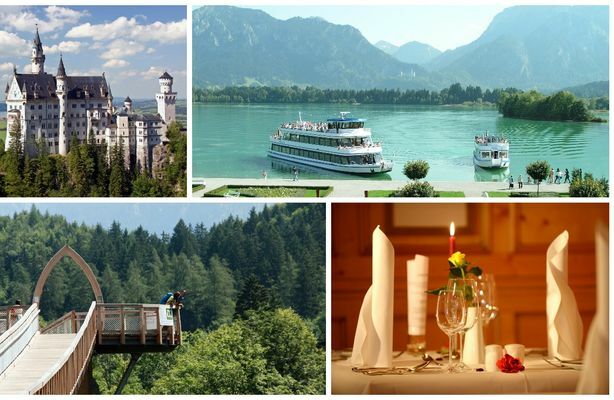 The castles, the Lech Waterfall and St. Mang monastery are just a few of the cultural highlights..
A visit to the extremely impressive Neuschwanstein Castle, Ettal monastery and Linderhof Palace will ensure that your holiday in Füssen will remain in your memory forever. Hohes Castle: extended in 1500, courtyard with Illusionist paintings, state gallery and municipal gallery with late Gothic and Renaissance artworks. Our tip for your holiday in Füssen: Don't miss the amazing views of Füssen from the clock tower. Franciscan monastery and St. Stephan's church: This is where the "Romantic Road" ends. Neuschwanstein Castle: The world-renowned fairytale castle built by King Ludwig II is a must during your holiday in Füssen. Hohenschwangau Castle: built in new-Gothic style, this was the summer residence of Crown-Prince Maximilian, father of King Ludwig II. 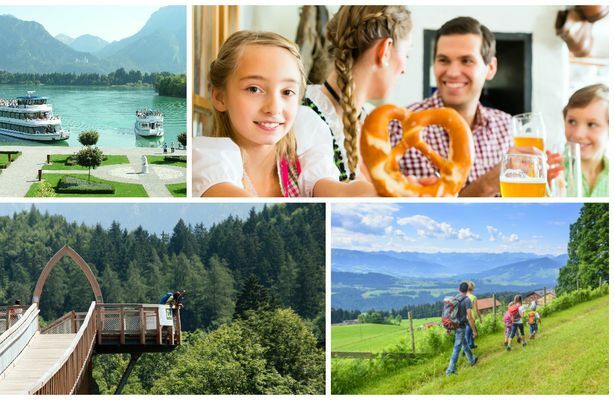 Museum of Bavarian Kings in Hohenschwangau: During your holiday in Füssen find out more about the Wittelsbach family history. Ettal monastery: widely-known baroque monastery with its dominating basilica and impressive fresco in the dome. 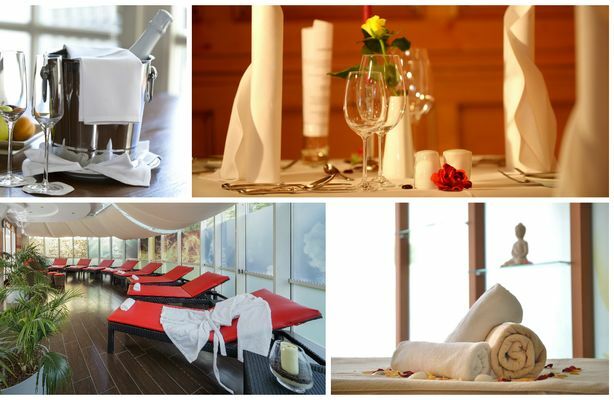 Linderhof Palace: King Ludwig II's favourite residence with beautiful landscaped gardens.